SAN DIEGO, Calif. (CBS 8) - The race is on to count the nation's population, but not everyone's cooperating. Some immigrant rights activists are urging Latinos to boycott the U.S. Census. Your census form is coming, and some groups are asking you to throw it away. 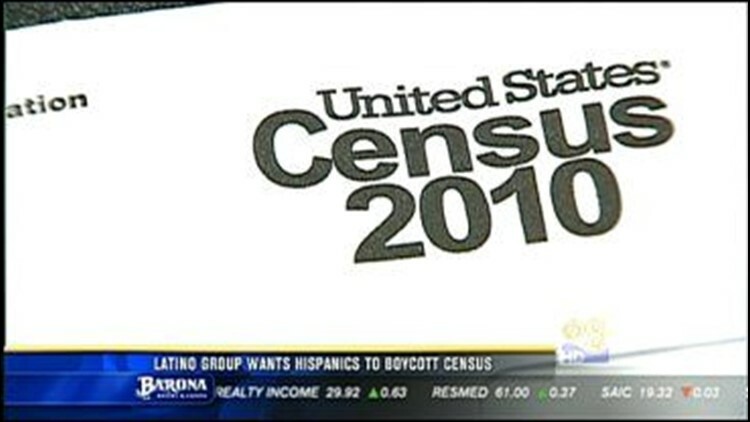 Several Latino leaders say the census is a scam. It asks residents for information to help the government provide resources communities need, but then that help, they say, doesn't come. "Immigrants have been excluded from the president's health care reform. It is the population with the highest labor participation rate and also the highest percentage to non health services nationally," Nativo Lopez of the Mexican-American Political Association said. John Fanestil's organization Foundation for Change is training people to go out and make sure San Diegans fill out their census, concentrating on the places where they're expecting low turnout, including around the border and in known migrant areas. "It has the potential for delivering much more political power for the Latino community," Fanestil said. Pedro Rios is also against the boycott, saying the benefits of being counted far outweigh the benefits of a boycott. "When people are not counted, then we're ensuring that there are tens of thousands, if not millions of dollars that aren't being set aside for programs that could benefit school children, other people in the community," Rios said. The census is supposed to count everyone, whether they're here legally or not. Organizers of the boycott are confident the government won't get even close to an accurate count, sending a message that the Latino community can no longer be ignored. "This will be the most effective campaign of non-participation amongst Latinos and immigrants than ever in the history of the United States," Lopez said.